Low-cost Unmanned Aerial Vehicles have become a viable alternative to existing solutions for a variety of services such as infrastructure monitoring, surveys, and precision agriculture, among other applications. In Benin, stakeholders in the health sector are considering the use of drones to address some of the health challenges faced by rural communities in underserved areas. 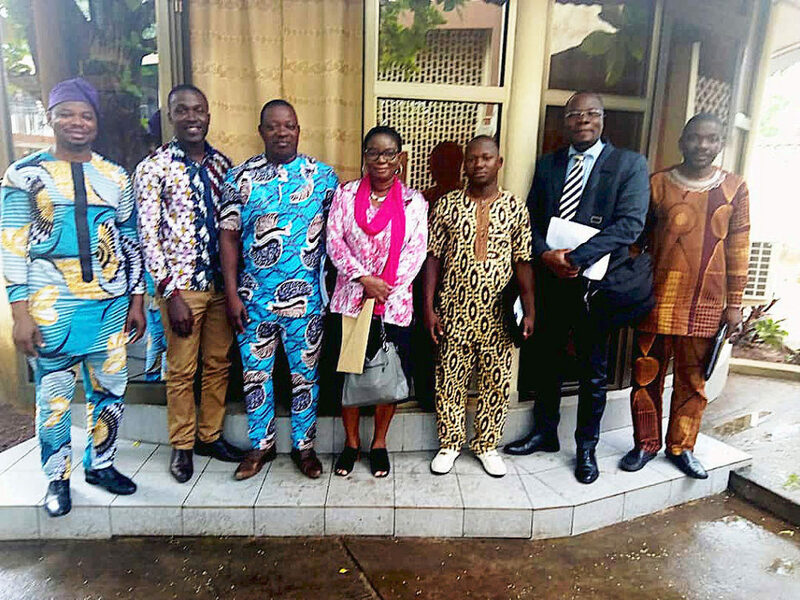 A workshop organized in September 2018 by Benin Flying Labs — our local knowledge hub that creates local capacity and encourages the use of drones for social good in Benin — gathered members of the ministry of health, the civil aviation authority, the ministry of the digital economy, and the civil society. During the workshop, focused on the use of drones in the health sector, the stakeholders identified the most important needs at a local level, and developed and selected appropriate solutions which will be then implemented through pilot projects. Participants also identified access to medicines, blood delivery as well as quick availability of blood test results as specific challenges in the country’s health sector. Rural areas, landlocked regions and difficult-to-reach territories are the locations where actions are mostly needed. Based on insights collected during the workshop, priority should be given to effective solutions for the rapid transportation of medicines, rescue kits, and blood bags. More importantly, it was observed how a pilot project should focus on making results of blood analysis in the northern part of the country readily available. In fact, this part of the country is endemic to the Lassa fever, a disease that causes morbidity and mortality and whose outbreaks are closely monitored by public health authorities due to its highly infectious nature. The most recent outbreaks occurred in 2014, 2016, 2017. Last year, the country counted 21 cases of people infected with the virus and 8 deaths. In the area surrounding the border with Nigeria and Burkina Faso, populations frequently move in between countries, increasing the risks of spreading the virus. The sooner the cases of infections are identified, the more effective the responses of the health sector will be to contain its consequences. However, these cases are isolated and in underserved rural areas. The key answer envisaged by the participants to the workshop is the integration of a drone-based solution in the rapid response to fight against Lassa, including safe transportation of blood to be tested. All of the stakeholders invited Benin Flying Labs to continue its collaboration with the ministry of health to implement the proposed solutions, confirming their engagement to facilitate the implementation of upcoming pilot projects.